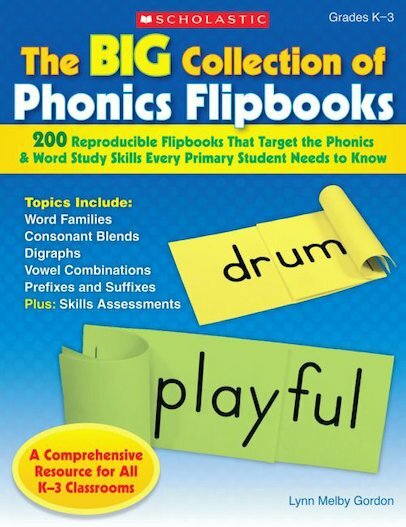 Build word-decoding skills with this comprehensive collection of reproducible flipbooks that reinforces sound-blending, word families, vowel combinations, initial and final consonant blends, digraphs, prefixes, suffixes, and more. Extension activities, assessments, and dictation exercises are also included to make this the perfect supplement to your reading instruction. A great resource for teachers of beginning and struggling readers, English-language learners, and students who need an extra boost in word-building skills!